1. 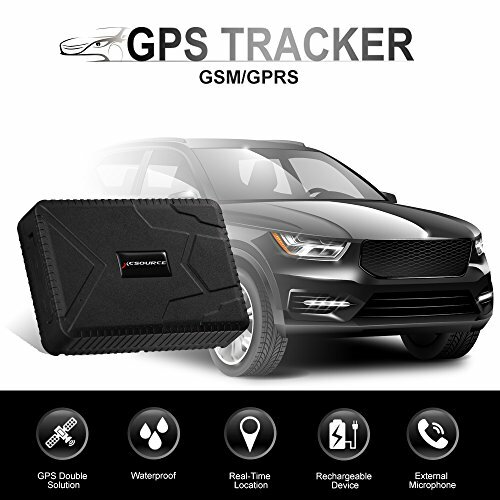 This device only works with 2G GSM network.When using GPS for the first time, please carefully read the manual and follow the steps to set the main account so that you can conveniently receive the positioning information. When GPS signals are available, it can be used normally. 2. This device supports Micro SIM card ONLY. if you are using a Standard SIM Card, Please cut it into Micro Size; if you are using a Nano SIM Card, please mind to use an adapter to fit in. (The Card and Adapter are not included).SIM card requires a small fee, each hit a SIM number, it will send a tracking account information to the main account text messages, only to the main account when sending text messages will have a cost. The rest will not have any fees. In order to keep the normal use of GPS, try to avoid SIM card deactivation or arrears happen. 3.It is best to recommend the use of APP live view dynamic, APP free, will not make SIM card costs.Download the free app "TKSTAR GPS" by scanning the QR Code on the manual or search from the App Store/Google Play. Select "Log in by IMEI", Use the "IMEI/ID No." from the back of the cover to log in. The default password is"123456". Size: 112 x 78 x 28mm / 4.4" x 3.1" x 1.1"
4 WAYS FOR ACCURATE REAL TIME TRACKING: Using Web server/Mobile phone App/Calling/Sending SMS to instantly track the location of children, elderly or stolen vehicles. Free Real Time Tracking, GSM/GPS dual mode positioning, positioning accuracy of up to 5 meters.